A single character is all needed to bring down your Apple Devices. This new bug is so easy to exploit. Just recently Apple fixed a bug called “chaiOS” that would let attackers freeze/crash apple devices by sending a text message with a simple link. Now they have faced another similar problem. Italian Blog Mobile World was first to spot this new bug. This problem arises from a single character of Telugu, a local Indian language. 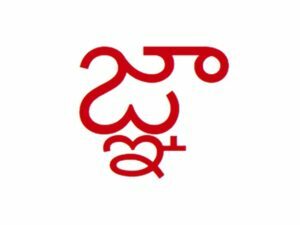 Once a Telugu character is typed/received can result in Apple devices to misbehave, crash, or even end up stuck in a loop. To summarize, it involves sending a character or message containing Telugu character to devices, and Apple’s iOS Springboard will crash once the message has been received. Messages will no longer open as the app is trying and failing to load the character. Only way to fix this issue is to have another friend send you a message and try to delete the related thread. Another potential way to resolve this issue, would be deleting the entire thread, which one will have to do from a Mac application or PC web browser. It can also crash third-party applications like Facebook Messenger, WhatsApp, Gmail, and Outlook to name a few. Furthermore, Note, Safari and Messages for the macOS versions also seem too affected from this issue. Fortunately, Skype along with Telegram appear to be unaffected by this annoying bug. As of now, Apple is aware of this issue. They plan to release an update as soon as possible to fix this issue. Update (Thursday 20.02.2018 BDT): They have just released a update to fix this new bug issue. Please update your Apple device as soon as you can.